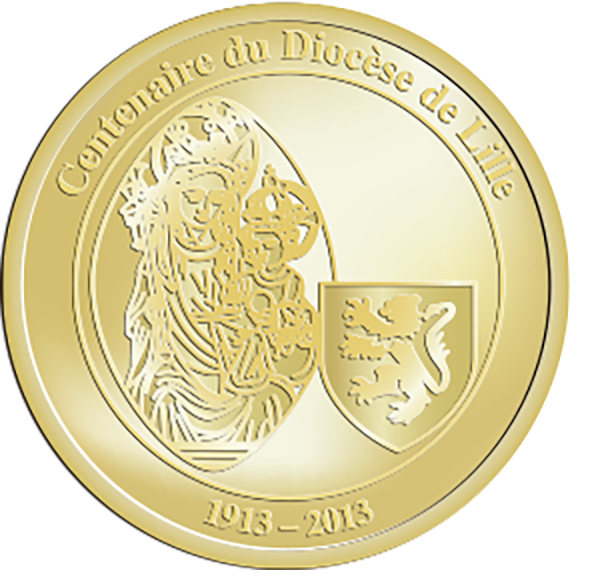 The Roman Catholic Archdiocese of Lille is an archdiocese of the Latin Rite of the Roman Catholic church in France. Its cathedral episcopal see is a Marian Minor Basilica: Basilique-cathé drale Notre-Dame de la Treille Basilique-cathé drale Notre-Dame de la Treille, in Lille, Nord, Nord–Pas-de-Calais. The current Archbishop of Lille is Laurent Bernard Marie Ulrich, appointed in February 2008; he is one of the two vice presidents of the Episcopal Conference of France. Erected on 25 October 1913 originally as the Diocese of Lille, a suffragan of the Metropolitan Archdiocese of Cambrai, on territory split off from the then Metropolitan Roman Catholic Archdiocese of Cambrai, it encompasses the arrondissements of Dunkerque and Lille, within the department of Nord in the Region of Nord-Pas-de-Calais. It was elevated to a Metropolitan Archdiocese by Pope Benedict XVI on March 29, 2008.